Available in the USA, Sanrio's retro 80's designed handbags have a new modern twist to it. 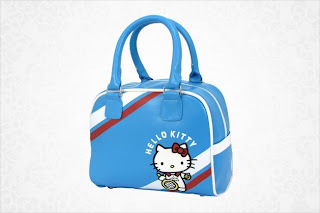 The handbags have a much more sportier feel to it. 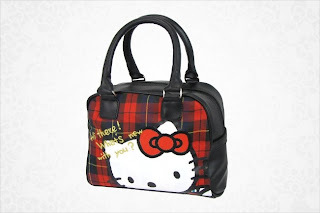 I keep thinking these handbags would make a great accessory when going to a bowling alley. What do you think? Second favorite. Even with my dislike for the black nose, I still love the handbag! And later in the week, I'll post pictures of my new Japan stuff of Tuxedo Sam and LTS. Lots of goodies coming my way in the mail. Vintage included. Priceless is my word for the day when I think of what I just bought. I'm such a teaser, huh?